This Goliath blue Edition is also made from Ebonite. This Ebonite was manufactured exclusive for Astoria. 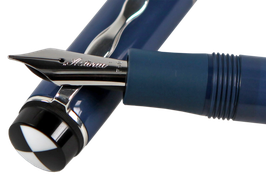 Because of the fact that a colored Ebonite is delicate to manned factor we have little color changes within the pen, this makes every pen individual. 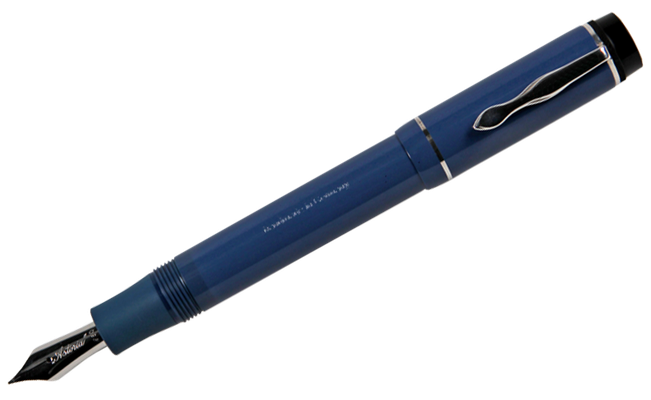 This blu Edition is only available with the nib size # 6, you can choose between EF to BB nib size. 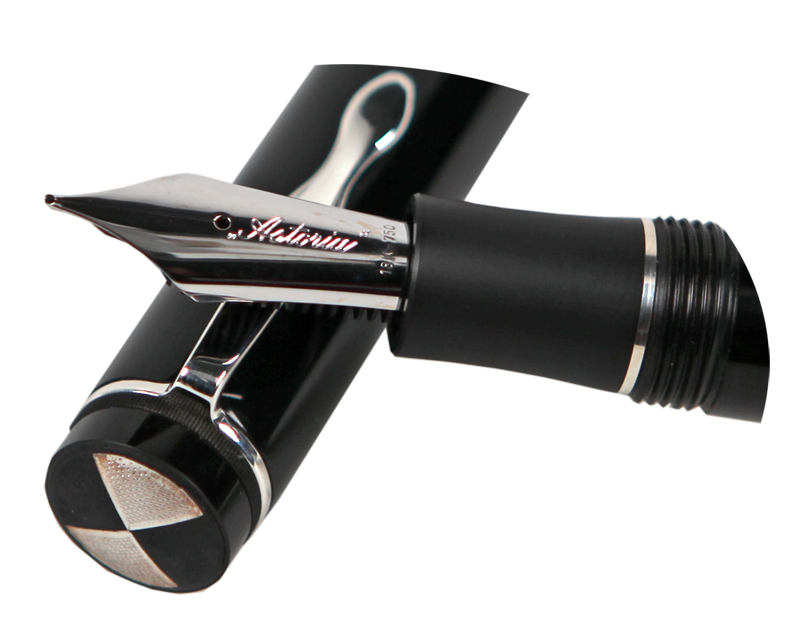 It is a piston filler. 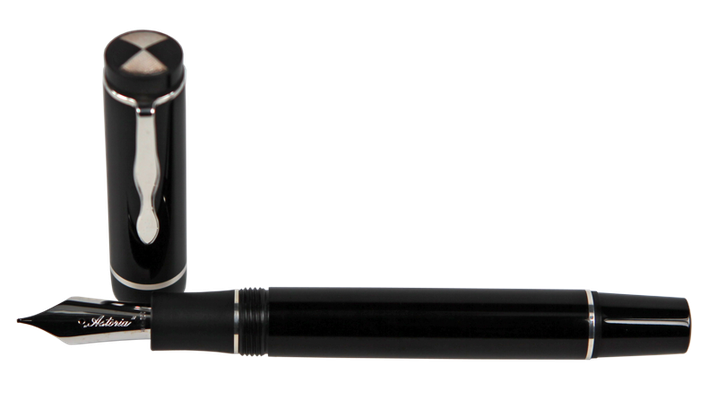 This Goliath black comes with the # 8 nib, this nib is around 2 mm expanded then the # 6 nib. Compared with a MB pen it is the number 149 nib. 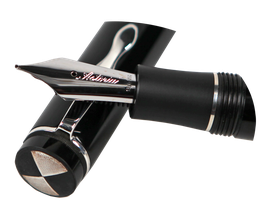 The Astoria Logo is made with Toledo work, silver. 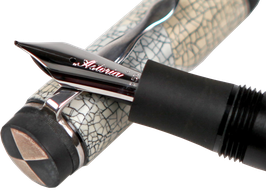 Available nib sizes are from EF to BB. 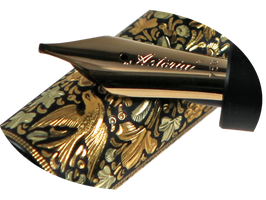 The Astoria Goliath Toledo Edition pen is made from Ebonite, steel and gold. 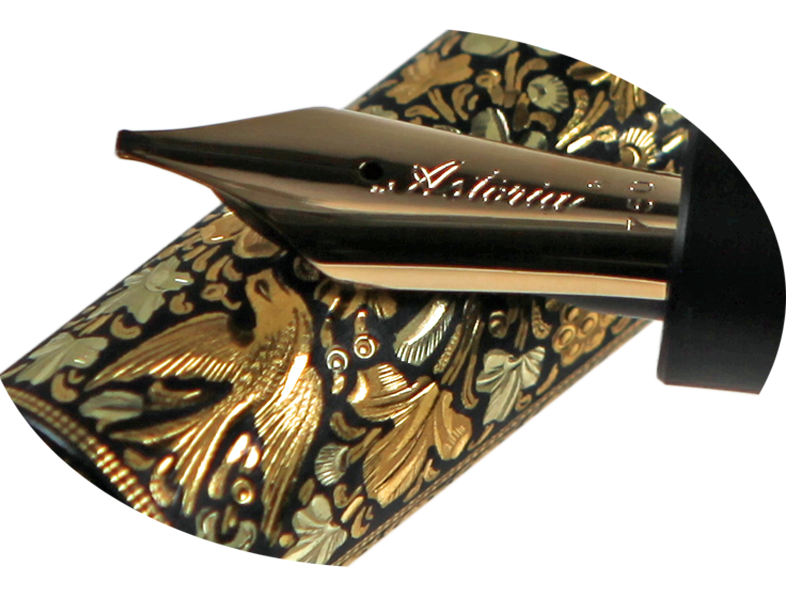 For the flower and bird edition we used 24 kt and 18kt gold to get the color effect of two different gold colors. The box is made from walnut wood and comes with a TOLEDO Eagle on top. 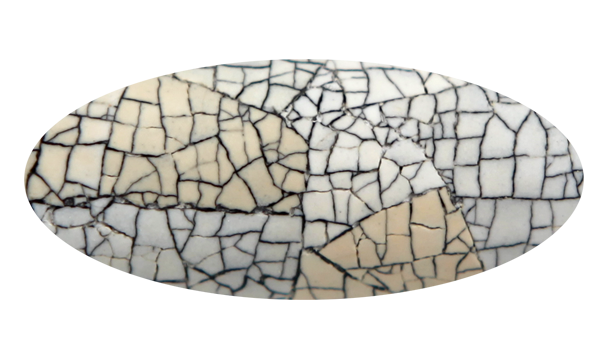 Also handmade in original Toledo work in Toledo, Spain. The double headed eagle is a part of the city arms of Toledo. 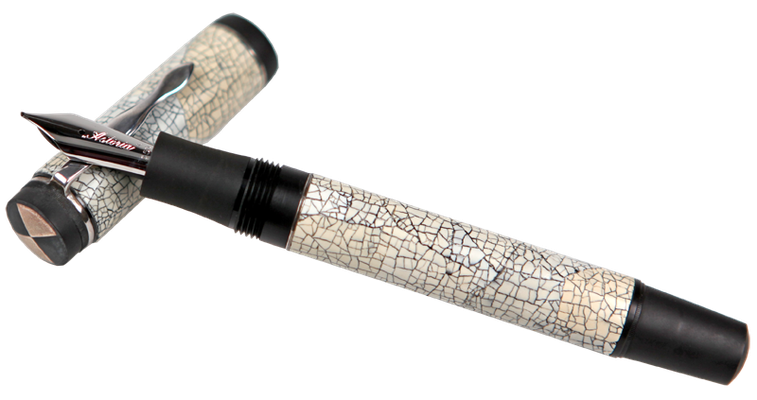 Astoria Goliath with eggshell pattern, real eggshell ( duck ) , each piece eggshell is glued by hand piece by piece to the surface.